Q: What is LifeShield™ Technology? A: 2X Longer Rotor Life. 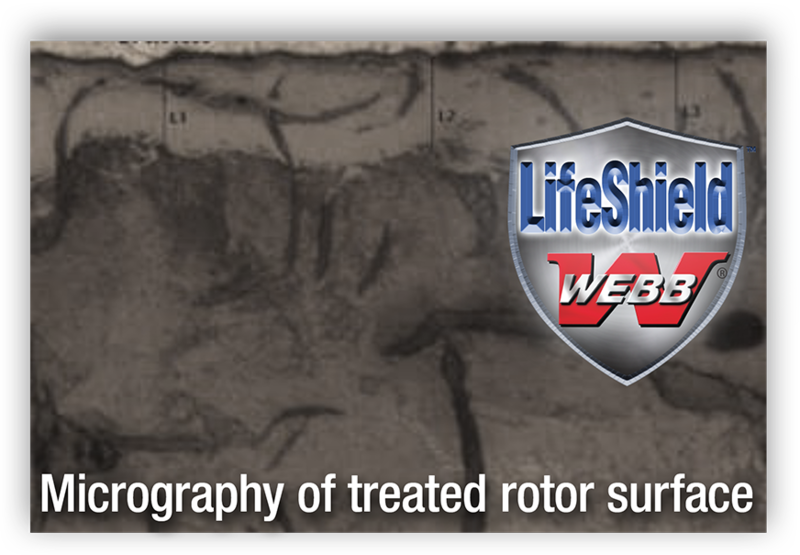 Webb LifeShield™ is a thermo-chemical diffusion process that creates an invisible ~0.001" thick protective layer across the entire rotor surface with an additional ~0.020" protective barrier beneath it. This advanced technology extends corrosion and wear resistance well beyond traditional coatings. In fact, fleet testing shows 2X life. 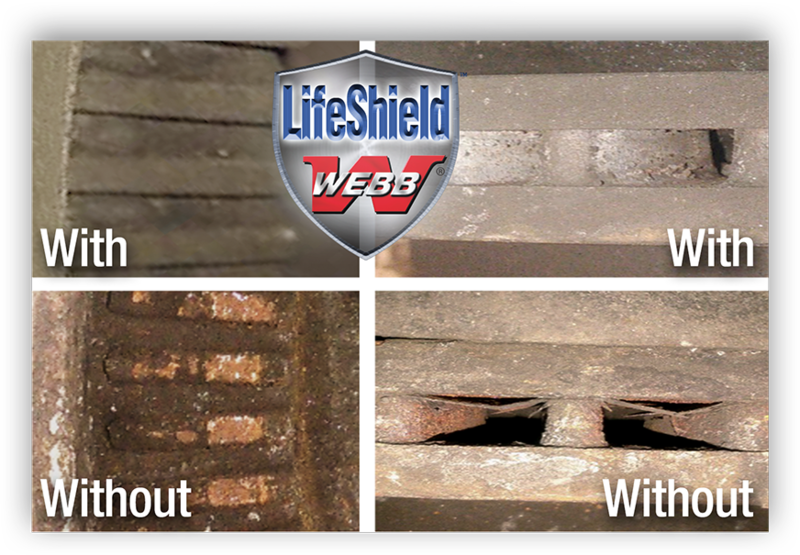 Webb partnered with a fleet in the heart of the salt belt to install rotors with and without LifeShield™. 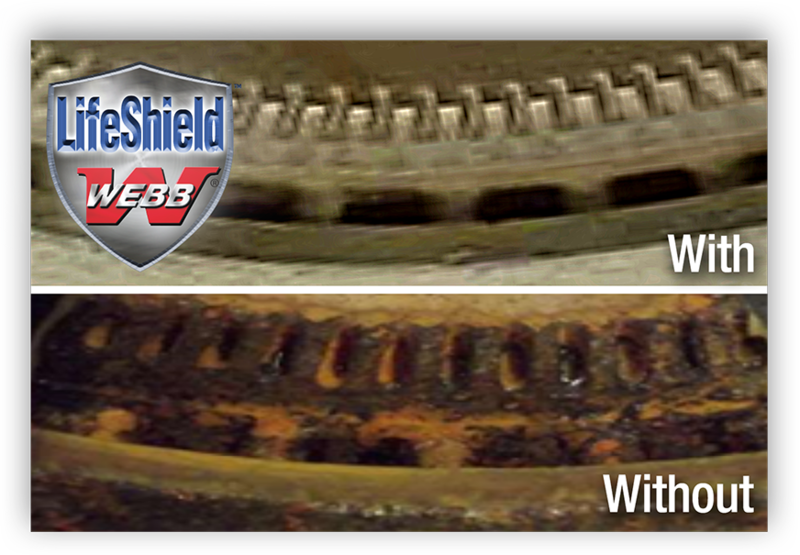 The LifeShield™ rotors generated little to no corrosion or rust on the ABS teeth or veins after 26 months of operation. LifeShield™ technology increased rotor wearable life expectancy by more than 2X compared to a standard rotor. Dynamometer performance and durability testing was performed on both LifeShield™ and non-treated rotors. Using the Webb dynomometer in the R&D lab, various burnish, effectiveness, and durability stops at speeds from 30 to 70mph were completed. 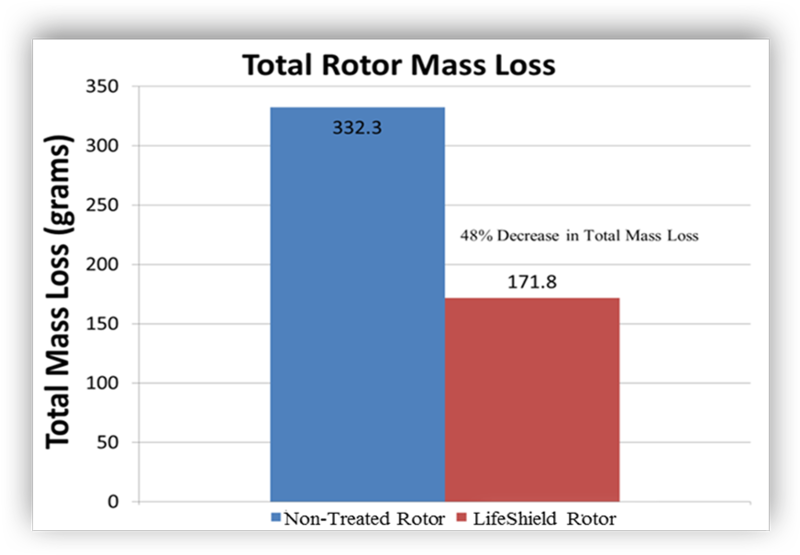 The total mass loss (grams) for LifeShield™ rotor was 48% less than the non-treated rotor. 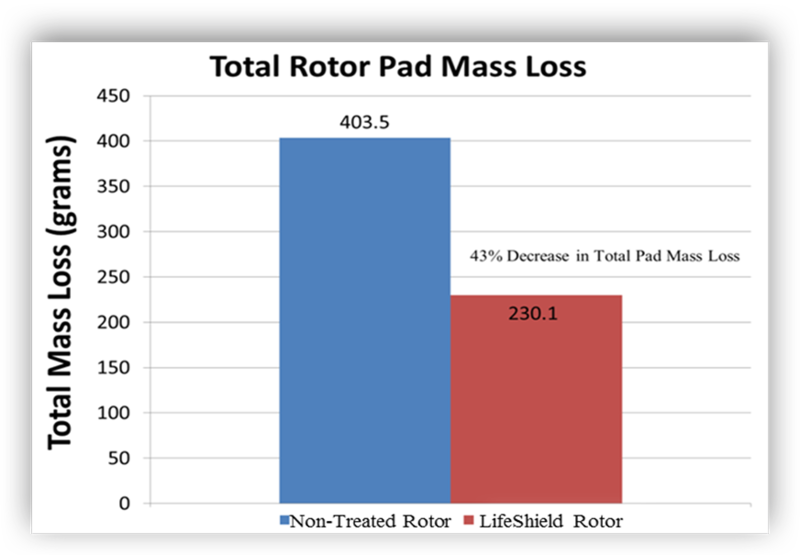 The LifeShield™ rotor pads showed 43% less mass loss than the non-treated rotor pads. Braking surface thickness measurements for the non-treated rotor decreased 0.008" after 37,438 miles of travel while the LifeShield™ rotor only lost 0.004" after 49,684 miles of travel. Normalized per mile, the LifeShield™ rotor was 65% more resistant to wear than the non-treated rotor.